DigitalGlobe went all in on AWS to meet the growing demand for commercial geo-intelligence, migrating its entire 17-year imagery archive to the cloud. DigitalGlobe is one of the world’s leading providers of high-resolution earth imagery, data, and analysis. The company used AWS Snowmobile to move 100 petabytes of data to the cloud, allowing it to move away from large file-transfer protocols and delivery workflows. DigitalGlobe also uses Amazon SageMaker to handle machine learning at scale. 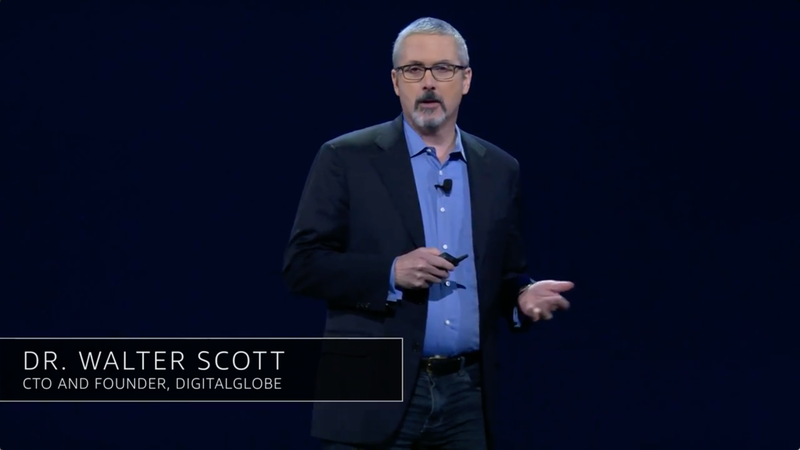 Dr. Walter Scott, CTO and founder at DigitalGlobe, spoke at re:Invent 2017. Learn more about deploying machine learning at scale on AWS.